IWASSA Co.: Facebook try a new button that you can acquire what you want without leaving . Facebook try a new button that you can acquire what you want without leaving . If you are a fan of Facebook and you go, the long Asaat, Vanma after hearing this news will be enjoying it more. 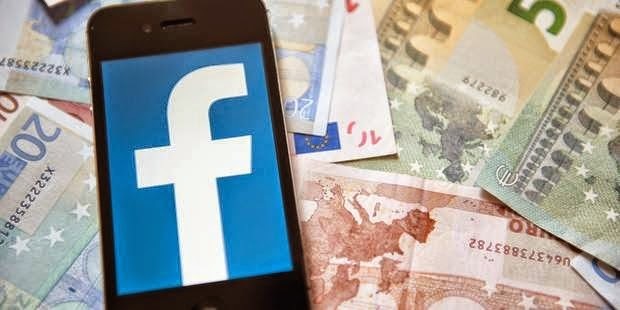 We have announced the giant company's MARK Zuckerber yesterday, that it has the experience of a new technology enables users to discover and purchase product directly through Facebook. And the new is that you can shop directly without leaving the social network and without leaving your place, just by a few Naqrat on the button "Buy" , and even that is not so far use this button, but the function of the "Auto-fill" that was announced a few months ago being out of work, and is a function enables the user to store banking information in the social network to be able to refer when you buy it with one mouse click. And so each can have his account of Balvaaspock Malomatth banking and postal to buy any product appears on Cefgesh through only two clicks. And so far, he and the company announced on Facebook they do not receive a percentage of any profit-making companies that are buying their products, but it probably will change its policy through the profit from the publicity companies for its product on the site. As for the question that it is obvious that posed by any person in relation to banking information for the person has confirmed the company it will be in a special secret and will not be shared with exhibiting companies as well as he could user to choose whether he wishes to store its information bank for purchases of other products in the future or not.